Home / Unlabelled / Can You Point Out The Boys And The Girl In This Photo? Can You Point Out The Boys And The Girl In This Photo? I saw this and decided to share with you guys. Oya, let's put your knowledge of Biology and Anatomy to test! Tell us the boys and the girl in the above picture. 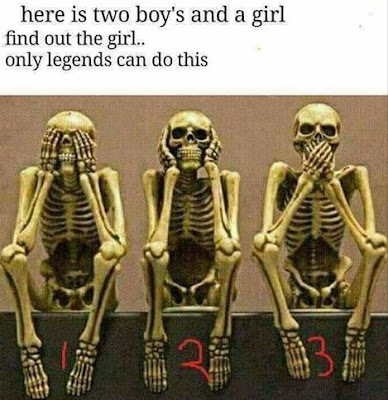 The girl is the number two (2) in the picture.